@EvoFxStudio: Currently Microsoft has not announced anything about indie development on the Xbox One other than this: http://kotaku.com/microsoft-vows-to-support-indie-developers-on-xbox-one-510129167 . Since that statement comes from Don Mattrick (head of IEB (the division that includes Xbox)), and no one more senior than him has said anything different, there's really no information beyond that. Your statement makes it seem like it's impossible for indie games to exist on the Xbox One, which simply isn't true. There currently is no self publishing story for indies for Xbox One, but indies who have a publisher could target the Xbox One (as long as their publisher is good with it). And who knows what the future holds. 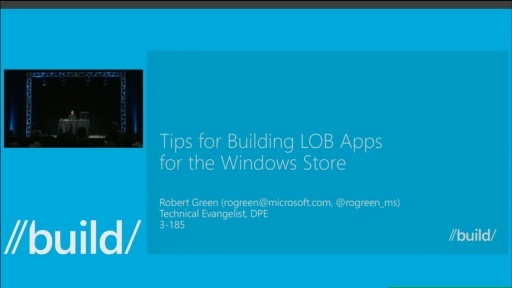 The Build conferences have always been about Windows (and Windows Phone and Windows Azure) development. Game development is part of this, of course, but game development for Xbox is a separate thing and as Ballmer said in the Day One Keynote, this conference isn't going to be about Xbox (or Office 365 or Skype). I too hope that Microsoft will have an indie developer program along the lines of XNA Creators Club/Xbox LIVE Indie Games. I would be amazed if such a program started out anytime earlier than 2014. Why? Because there is only so much time and so many people so they need to prioritize their goals. Launching the system and ensuring that the launch titles are as awesome as possible is undoubtedly the highest priority right now. Once launch begins to wind down (and remember that launch won't happen in parts of Asia until 2014), there should be more resources for adding something like XNA/XBLIG. Remember than XNA/XBLIG didn't launch until a couple of years after the Xbox 360 launched. So be patient and remember that there are 70+ million Xbox 360s out there right now. Those systems won't all disappear the day the Xbox One launches and it'll probably be at least 1-2 years before there are more people regularly playing the Xbox One/PS4 generation than there are people regularly playing the Xbox 360/PS3 generation. So develop great games for those millions of people playing their 360s now using XNA Game Studio and hopefully in a year or two Microsoft will have a similar program ready to go for Xbox One, which would mesh quite nicely with when there will likely be enough Xbox One owners to create a good market for indie games. That's just my personal take on it, though. Does anyone know when this presentation is going to be uploaded? +1 to ColeRowland's question. When will this talk be viewable? 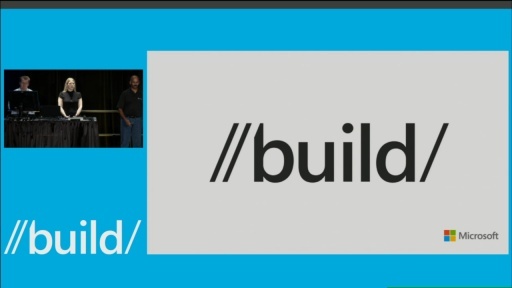 What Windows 8.1 really needs for independent game developers is an achievement API that uses Windows Live. I had to stop watching half-way through when the off-camera guy kept clearing his throat in my ears now and again. this is verry low, very low..
XNA is already available for windows 8.x via the open source MonoGame project. In fact MonoGame has had support for Windows 8 for over a year now. 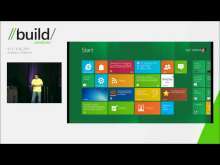 So if you like the XNA api, it lives on in the OSS world.